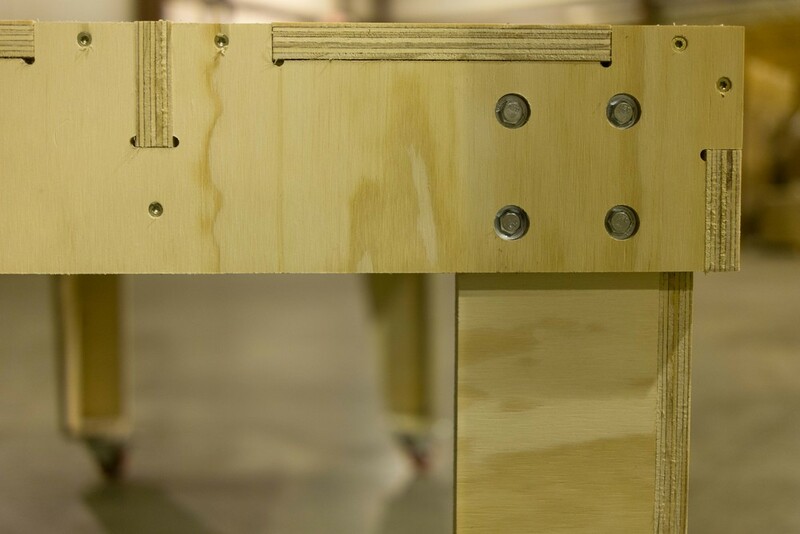 This CNC cut workbench is as functional as it is good looking. 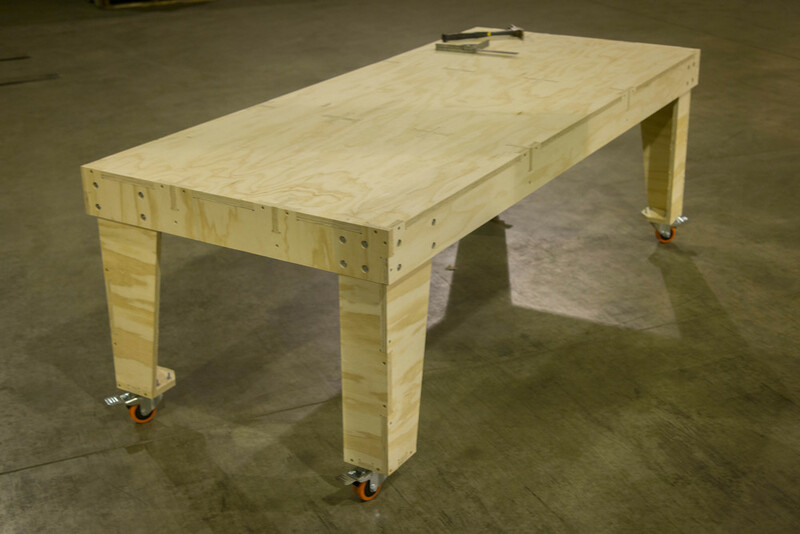 It cleverly uses 3/4" pine plywood in a way that gives incredible strength in a lightweight package. 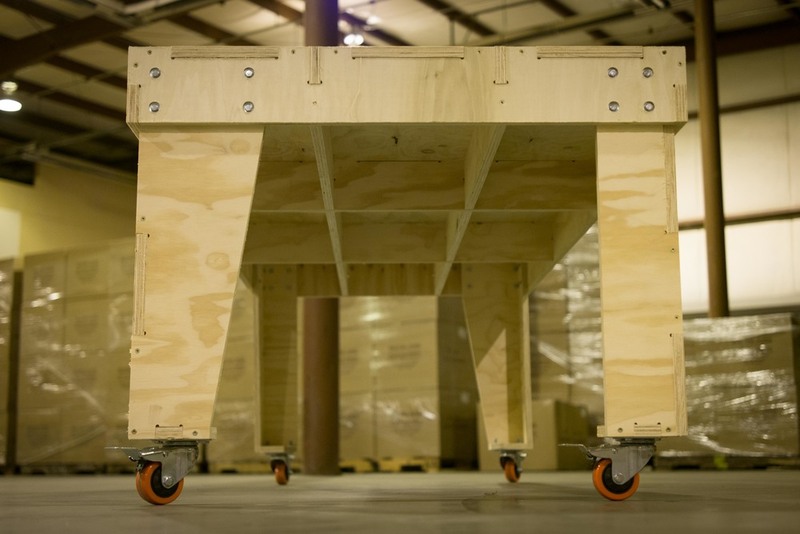 Legs are removable with standard bolts so it can be moved and transported easily. Heavy duty locking casters are available on all four legs if desired. 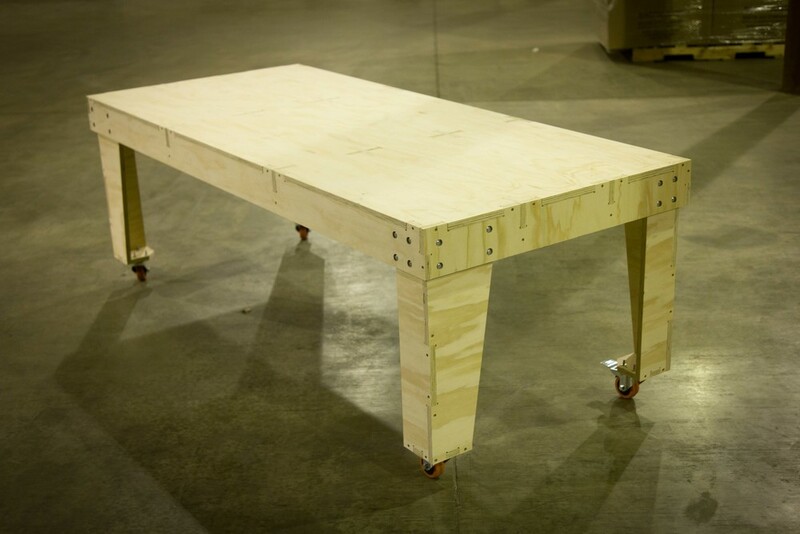 Large work benches can be up to 47" deep and 95" wide. Table heights can range from 20" to 42" tall. 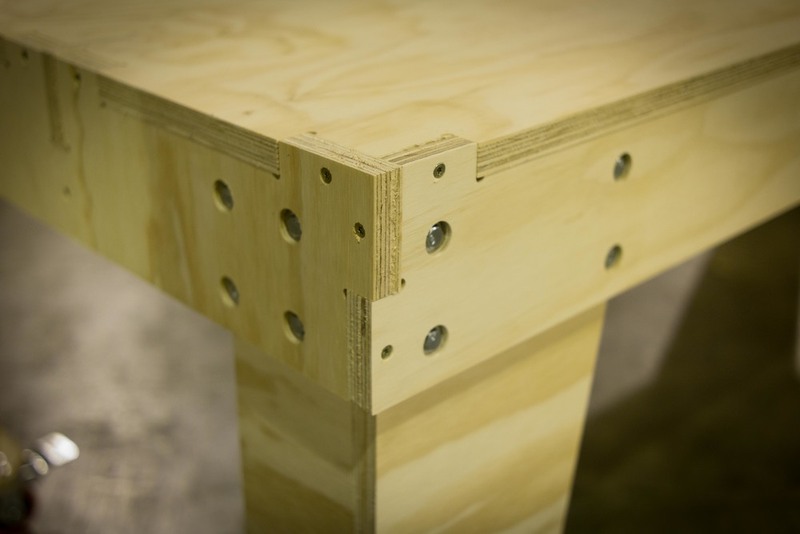 All tables come in unfinished pine. Finishing can be requested by contacting us.